Do you have a room that no matter what you do, it just feels cramped? Home stagers are confronted with rooms like that all. the. time. 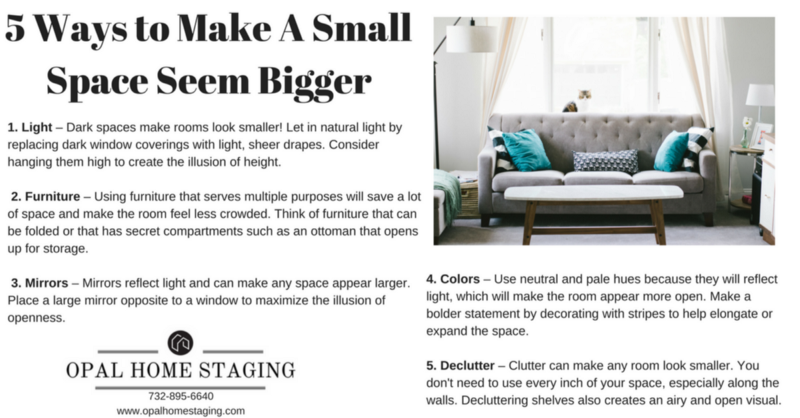 Try these tricks that home stagers use to combat those tiny rooms and make them seem larger than life. 1. Lighten Up — Dark spaces make rooms look smaller! 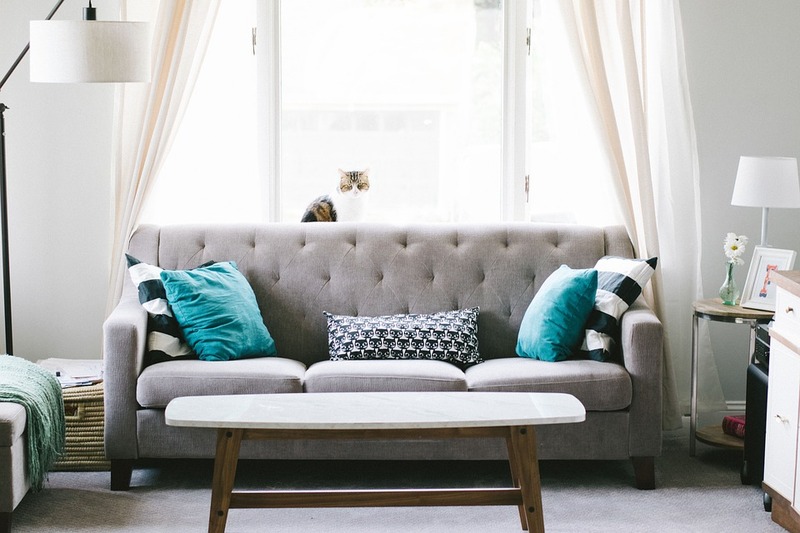 Let in natural light by replacing dark window covering with light, sheer drapes. Consider hanging them high to create the illusion of height. 2. Multipurpose Furniture — Using furniture that serves multiple purposes will save a lot of space and make the room feel less crowded. Think of furniture that can be folded up or that has secret compartments such as an ottoman that opens up for storage or end tables with drawers. 3. Mirrors — Mirrors reflect light and can make any space appear larger. Place a large mirror opposite to a window to maximize the appearance of openness. 4. Colors — Use neutral and pale hues because they will reflect light, which will make the room seem more open. Make a bolder statement by decorating with stripes to help elongate or expand the space. 5. Declutter — Clutter can make any room look smaller. You don’t need to use every inch of your space, especially along the walls. Decluttering shelves also creates an airy and open visual.